Hi friends & happy Tuesday! Hope you’re having an awesome week. Today I’m excited to bring to you another collaboration with my friends at EverlyWell! I’ve worked with them before on my at-home food sensitivity test that I did a while back which brought great results into what foods could be causing irritation in my gut. When they reached out with their new Metabolism Test I was pumped because I feel like my clients or followers would love to try something like this. I train many female clients and I believe hormones are a huge factor in overall weight loss goals. I also believe that taking YOUR health into your own hands is HUGE. If I have a question or need advice, I ask my Doctor or do a ton of research on the topic. I don’t hold back about learning about MY body because it’s so important to me. EverlyWell believes health tests shouldn’t be hard to get — or hard to understand as they provide a convenient, at-home health testing platform with easy-to-read, physician-mediated results. EverlyWell wants to EMPOWER people to have access to their own personalized health and wellness information so they can improve the quality of their health and live happier lives. Once you take this test and learn your results, the next step would be taking this info to your Doctor if you have any questions or concerns. It’s great to get a true inside look at what is going on within yourself. Metabolism is the process within your body that converts food to energy. Not surprisingly, the speed of your metabolism affects energy levels, weight, body composition, and even your mood. Your metabolism, can be in turn influenced by your thyroid function (TSH), whether or not your body is building muscle and burning fat (Testosterone), and your stress levels (Cortisol). 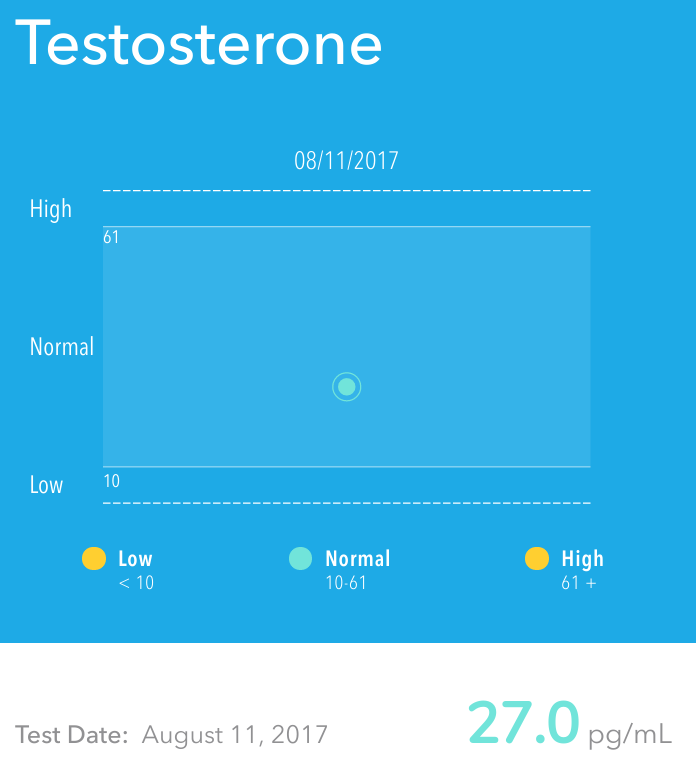 The EverlyWell results will contain your personal levels of TSH, Cortisol, Testosterone, and whether they are low, normal, or high. 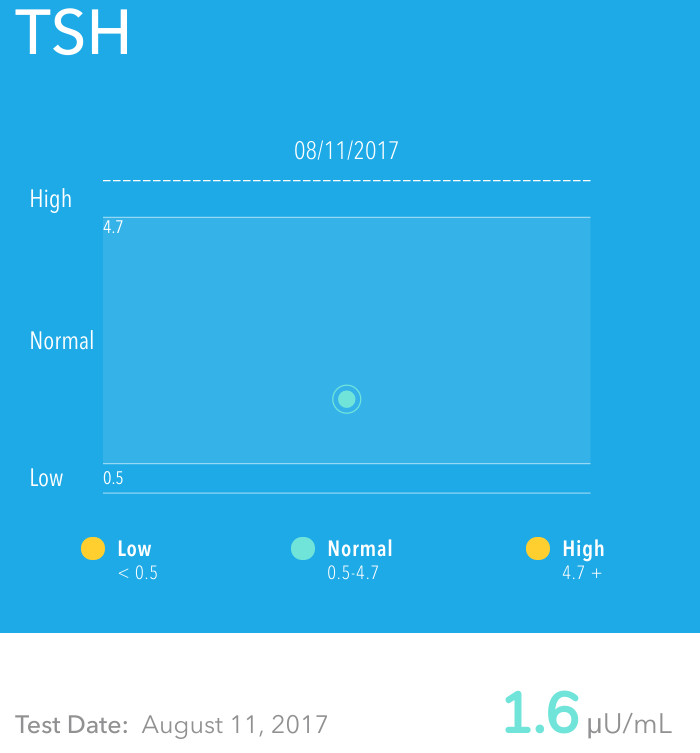 So, let’s chat about the Metabolism Test itself! 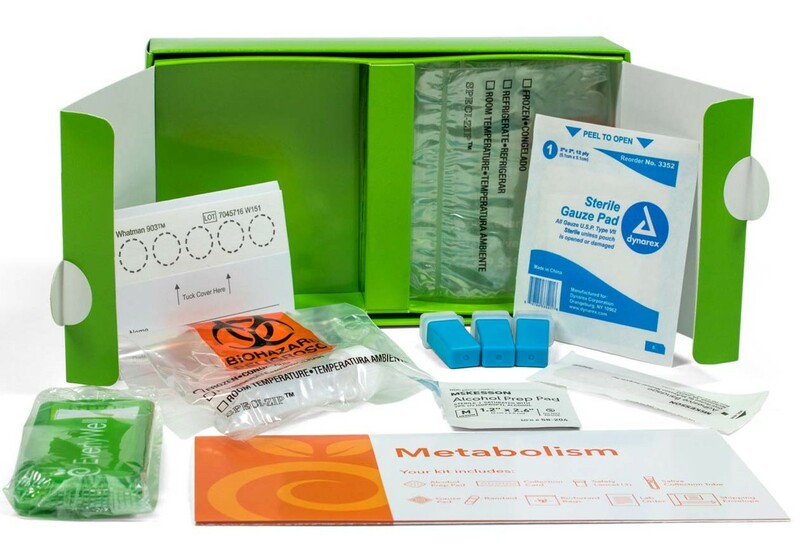 It’s very simple and EverlyWell sends you everything you need to conduct the test in your home from the sterile gauze pad, to the bandaids, the bag you ship back to them (already labeled! ), & the simple finger pricks to extract your blood. I’m honestly not a big fan of needles or blood, but, this doesn’t require a TON of blood and it’s a simple prick of the finger that causes the small bleeding to occur that only lasts a few moment (aka enough to get a sample). 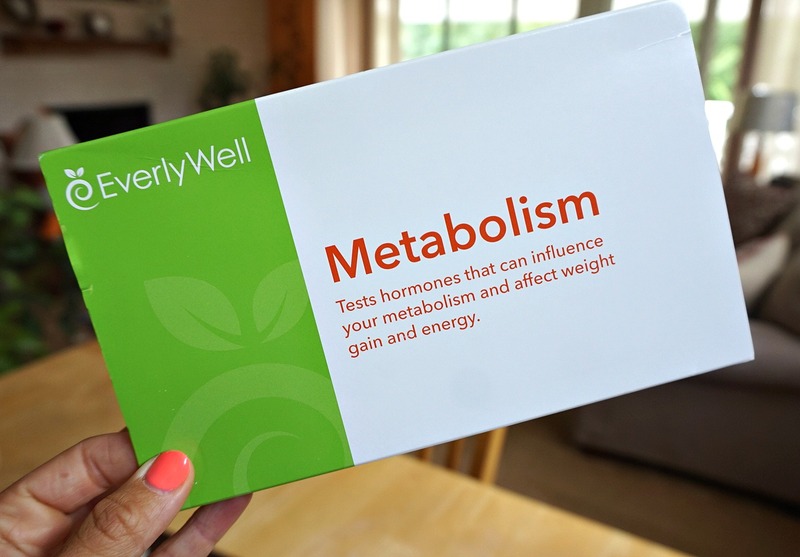 Kit tests hormones that can influence your metabolism and affect weight gain and energy. Test kit shipped directly to you! No need to go to multiple appointments normally required by traditional labs. No copays. No time off work. No dingy labs. Quick and easy sample collection – only a few drops of blood and a small amount of saliva are needed. They provide easy-to-follow instructions and materials to collect your own sample on your own time. They work with accurate and certified partner labs. View easy-to-understand results online in just a few days instead of a few weeks. 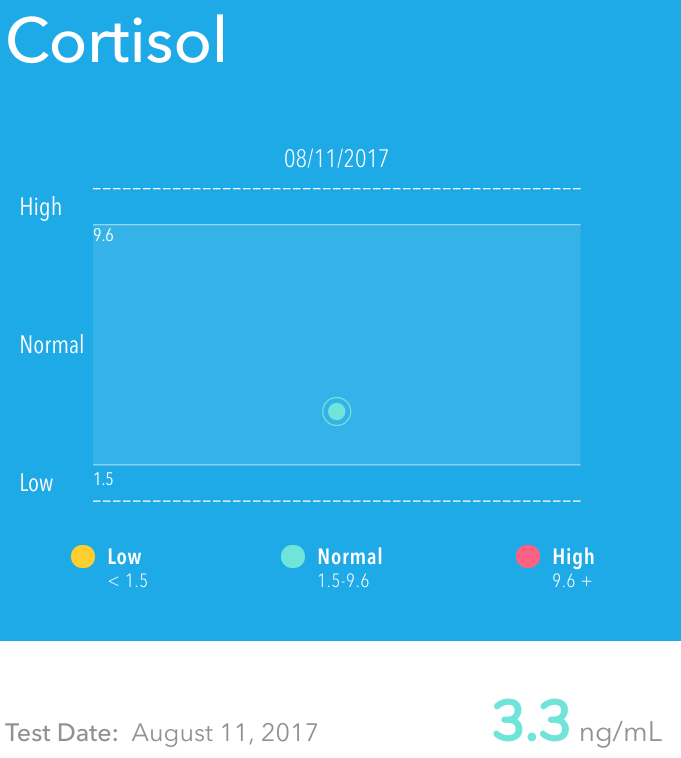 I was normal in Cortisol which was good to see! Though crucial for life or death situations, prolonged exposure to elevated levels of cortisol and other stress hormones can impact almost all of your body’s key processes and physically present themselves in many forms so having a near normal level is a big positive. I was also normal in Testosterone. While Testosterone is typically thought of as a key ‘male’ hormone, it’s essential for both sexes, and it’s produced by the adrenal cortex, the testes (in men), and the ovaries (in women). EverlyWell says that Testosterone influences metabolism, including fat burning and muscle development. Low levels of testosterone in men can cause male infertility, in addition to increased fat and decreased muscle building. High testosterone levels in women can be associated with female infertility. Last category was TSH (which I was also normal in!). EverlyWell states that abnormal thyroid function is very common, affecting up to 30 million adults in the U.S. The thyroid is critical for regulating metabolic hormones, and abnormal functioning can result in fatigue, brain fog, slugishness, and weight gain. Hyperthyroidism, on the other hand, can result in a racing heartbeat, over-stimulation, weight loss and other symptoms. Either way, it’s important that the thyroid operates normally for overall well-being and TSH screening is a great way to get a beginning step to an inside look. I absolutely love testing like this! Not only to have a better look at my personal overall health but I’m such a science nerd when it comes to learning about how our bodies work, especially in the fitness/health space. Fitness and taking on a healthier lifestyle is SO much more than just our outward appearance and being more in-tune with your body is SO key to your overall wellness. I think a lot of times in the fitness industry, we lose sight of our INSIDES and what is going on in our beautiful working machine that we get to call our body. Our bodies support us through fitness and making strong choices so to take care of it from the inside out is so important. I hope this teaches you something new (as I know I’ve personally learned a lot through this test) and answers any questions you may have about EverlyWell at-home testing. 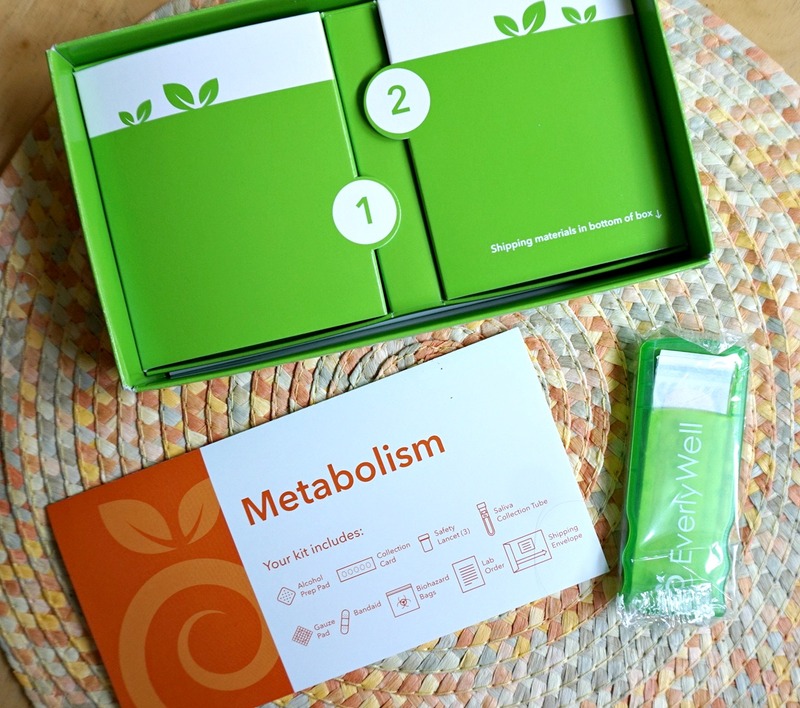 If interested, you can use code “METABOLIZEME” at checkout at EverlyWell.com for a 10% discount. You can find EverlyWell on Facebook, Instagram, & Twitter.